The idea for the design was born out of frustration. If you are like me, I wanted to get to my diff quick without doubling the work. Its not a new idea but an effective one. The design allows you to easily access the diff from the top of the truck versus from both underneath and on top. With the diff mounts attached to the chassis and the clamps to hold the diff in place, you can easily remove the diff mount brace and viola the diff is in your hand. 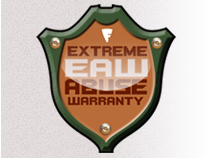 The part also carries our exclusive part replacemnt warranty.